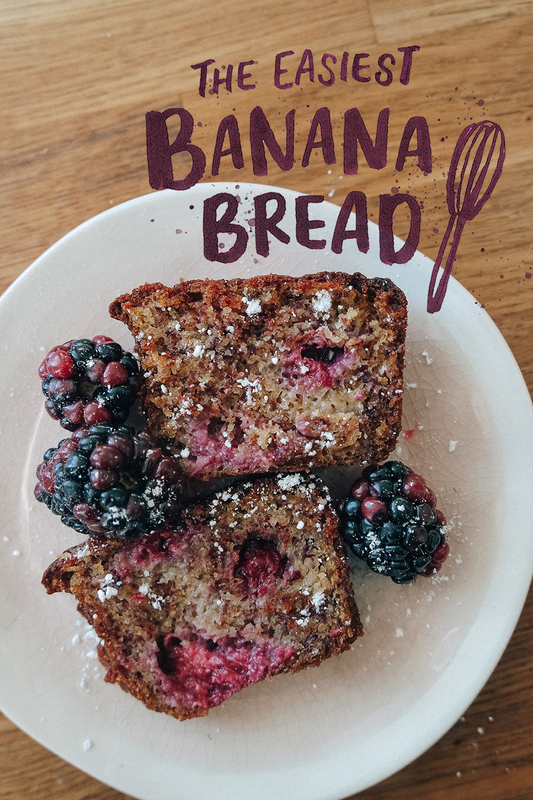 Banana bread is one of those easy fall back options when you're craving something sweet and filling but don't have any chocolate. 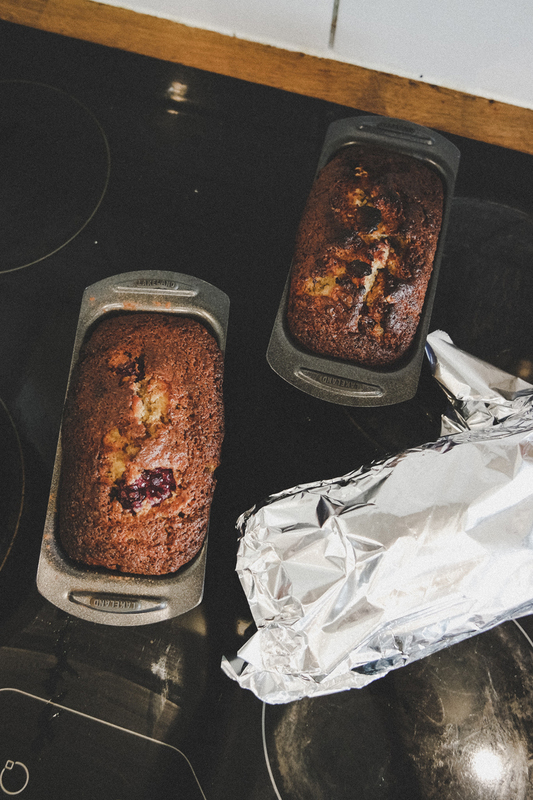 All you need to do is keep a stock of flour, sugar, baking powder & a tin at the back of your cupboard and neglect your bananas. 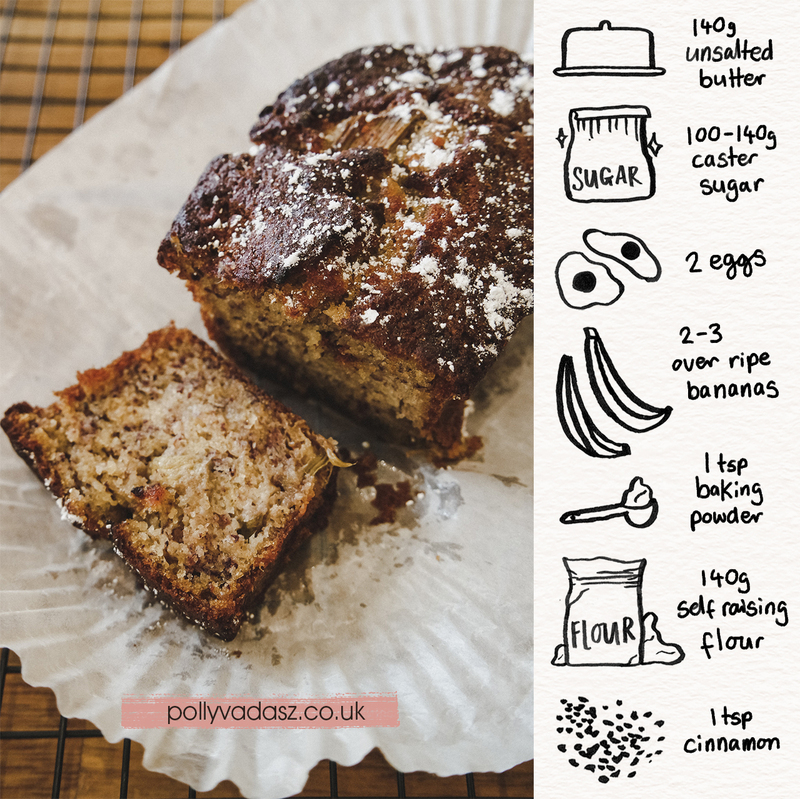 I blogged a "simple & fruity" banana bread two years ago, but with the new student year commencing and spending all day photographing food much more possible, I thought I'd give it a new life with an updated post! 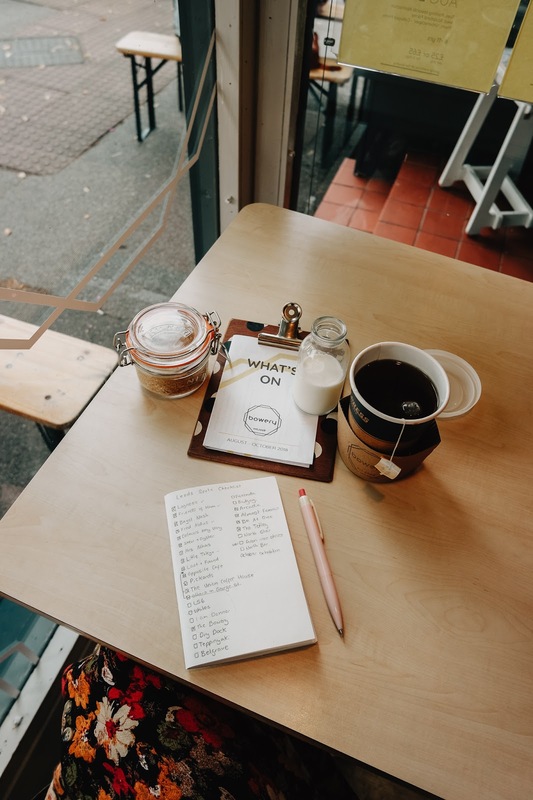 I've looked that recipe back up every time I've made it since, so it's a goodn', but I wanted to share the different ways you can customise it this time. 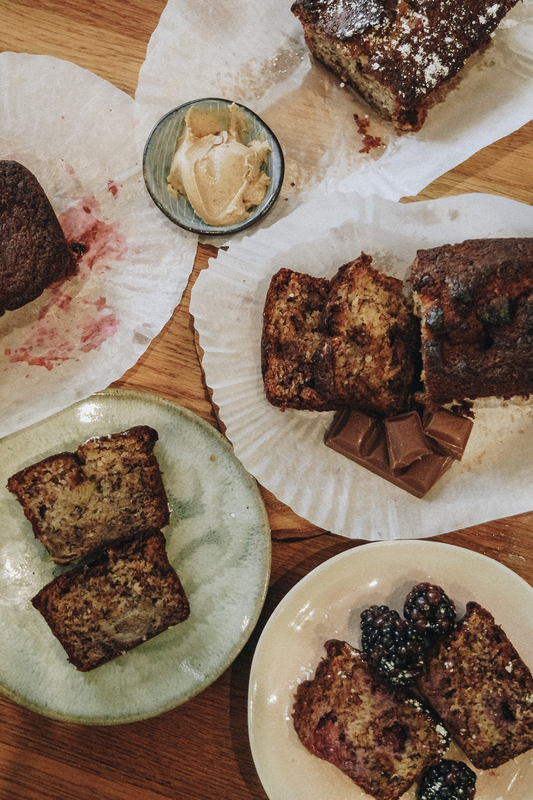 Banana bread on its own is obviously great, but with a bit of melted chocolate in the middle and a twang of rhubarb on the tongue, you get that additional feeling of accomplishment because you're having fun with flavours that you chose! This recipe should get you good results every time. It's also very easy to remember because it's either 140g, a tsp or two of something. It might even be a little too buttery, so if you're weighing up 110g, don't bother going to the shops. 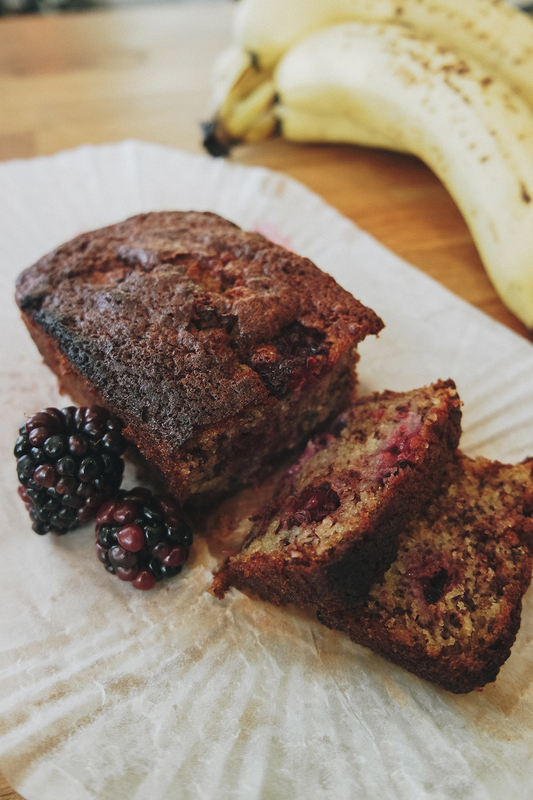 I'd recommend cinnamon in a standard banana loaf, and you can add extra/less to taste. Start by heating your oven to 180 degrees celsius. 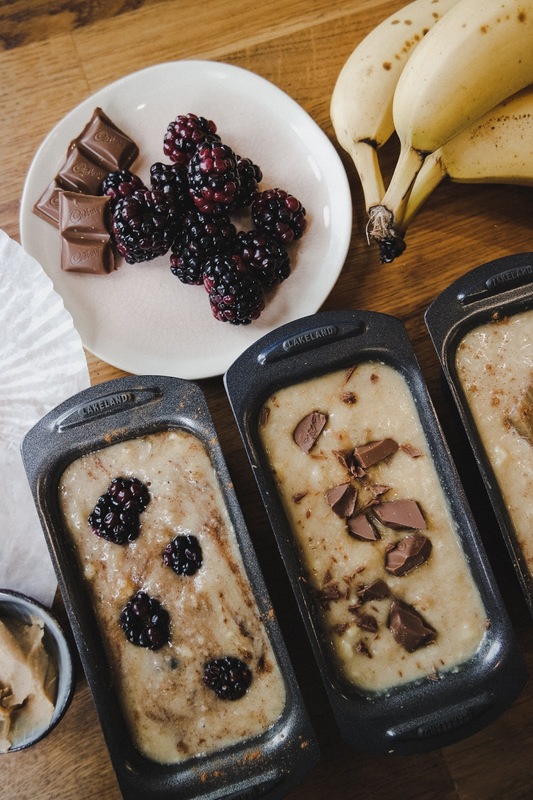 Look at your baking tray. Greaseproof? That should be fine, but line with baking parchment to eliminate having to perform a shameful excavation later on. If it's silicone, congratulations, everything will be okay. 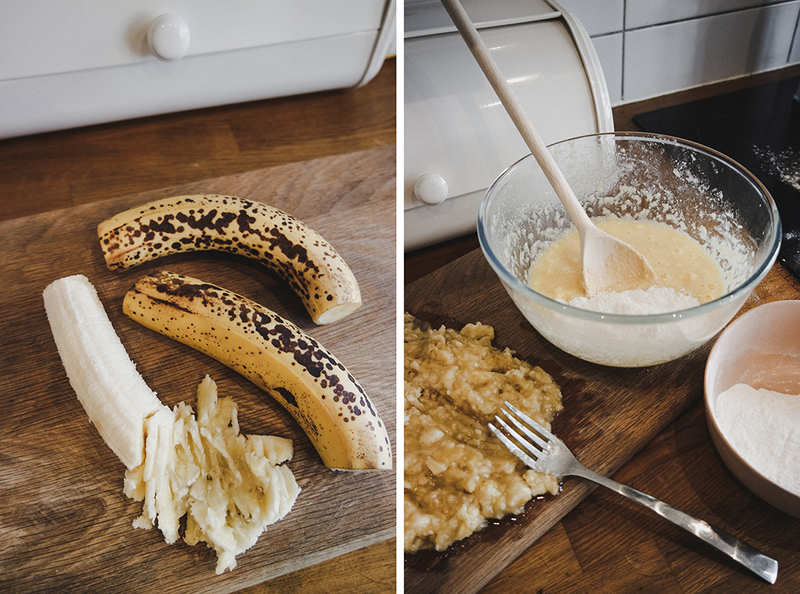 Chop up two of your bananas and crush with a fork. 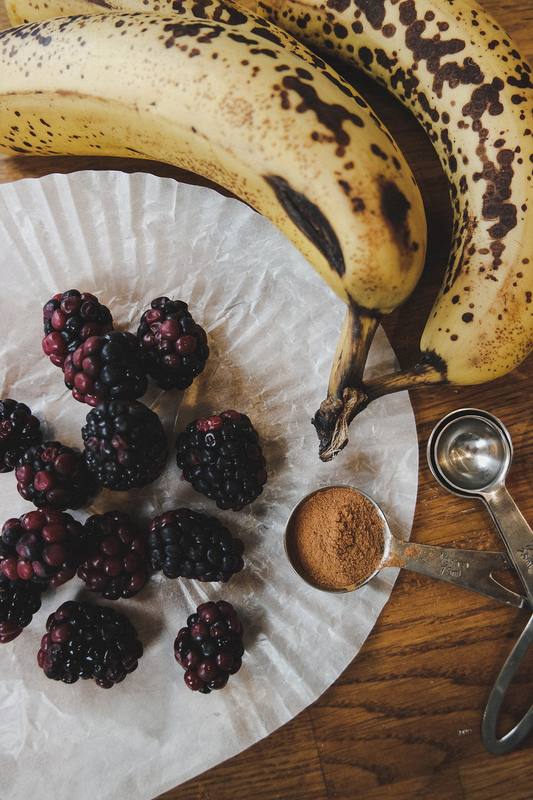 TIP: if the banana isn't totally ripe, pop it in the microwave for 30-ish seconds to soften! Leave half a banana chopped if you want extra chunks in there. 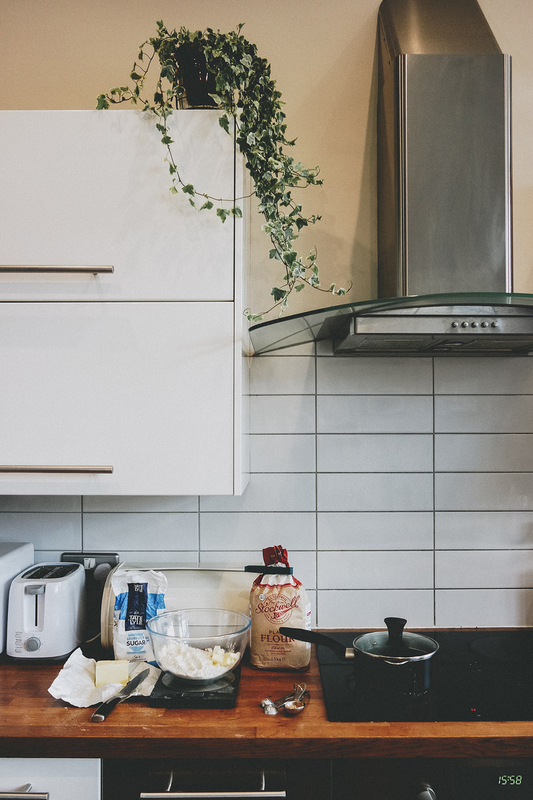 To soften the butter, either leave out overnight OR (because who can remember to do that), chop it up into small chunks then pop it at the bottom of the oven for a minute until its very soft - not completely melted. Mix the butter together with the sugar until it's "fluffy" and there are no cheeky lumps of butter left, then mix in the eggs. You can whisk them up before, but to save on washing up I just do it in the bowl. 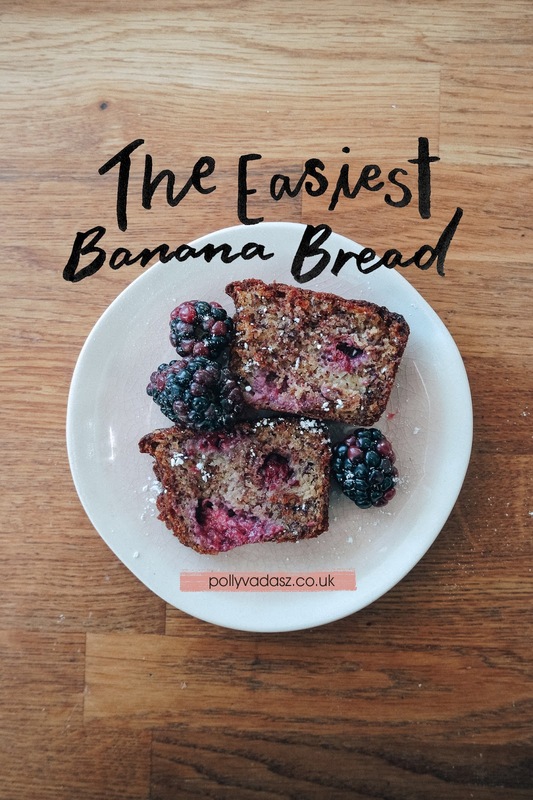 Pop in half of your flour and stir until fully blended, then add the rest of the flour, baking powder and mushed up bananas, a sprinkle of cinnamon and mix fully. CUSTOMISE! This is the fun bit, and I have three options to choose from below. 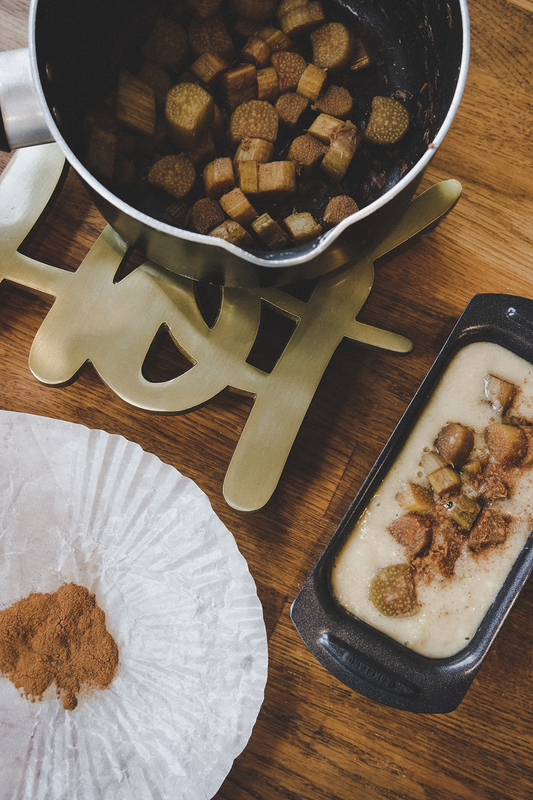 Two of them contain cinnamon, but you don't need to double up the amounts. 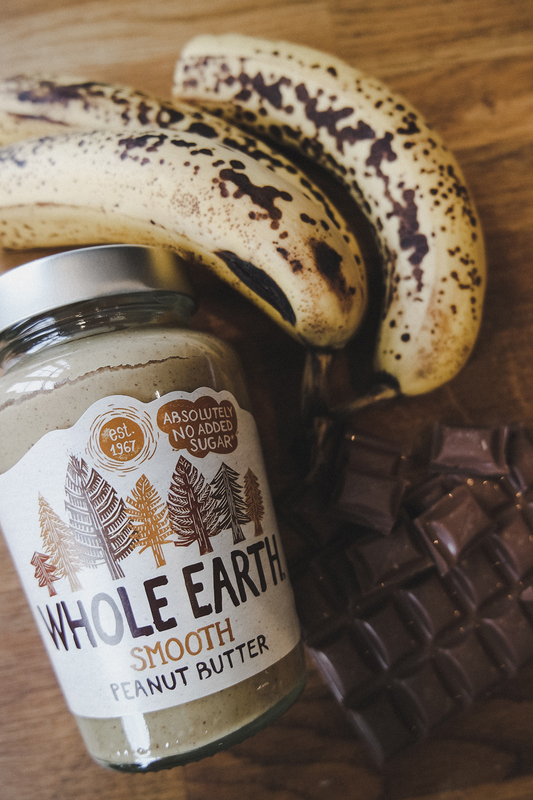 A taste test is recommended. Pop into the oven and bake for 20 minutes before checking. I find that the top goes brown pretty quickly, so to prevent it from burning I cover it with foil midway through. The loaf is done once a skewer comes out clean, and this usually takes 50 minutes for me, but keep checking as I guess all ovens vary! This seasonal option is super homely and simple for the colder months. 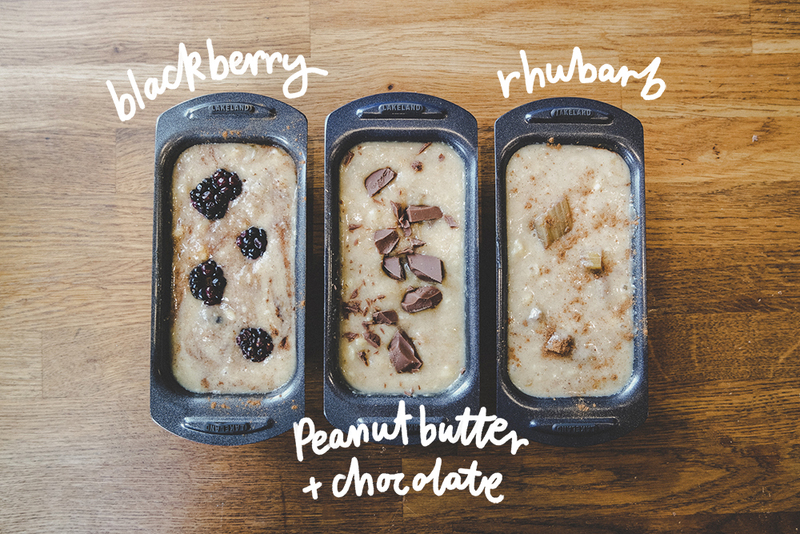 Frozen berries are the wiser option as they add less liquid, but I'm used to cooking with fresh berries. Just note that fresh berries may extend the cooking time a bit more. 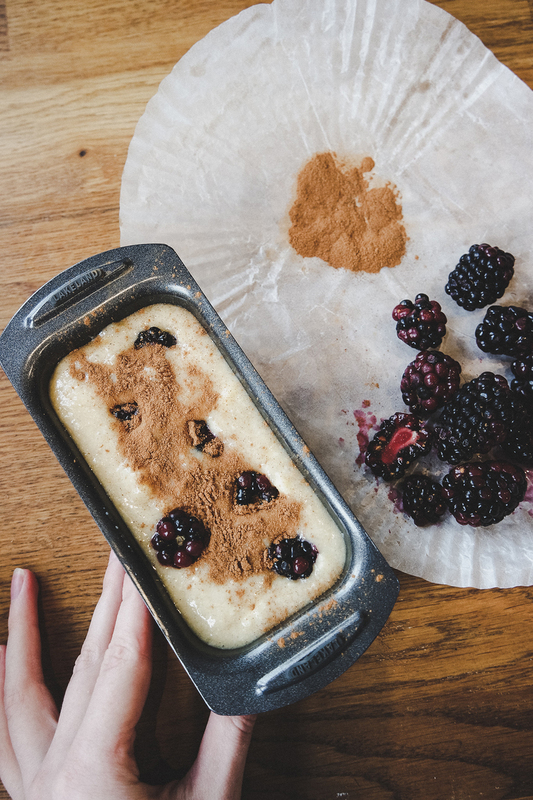 Chop the blackberries into halves, then stir into the mixture with the cinnamon before pouring into the tin. I mean, this is obviously going to be a winner. 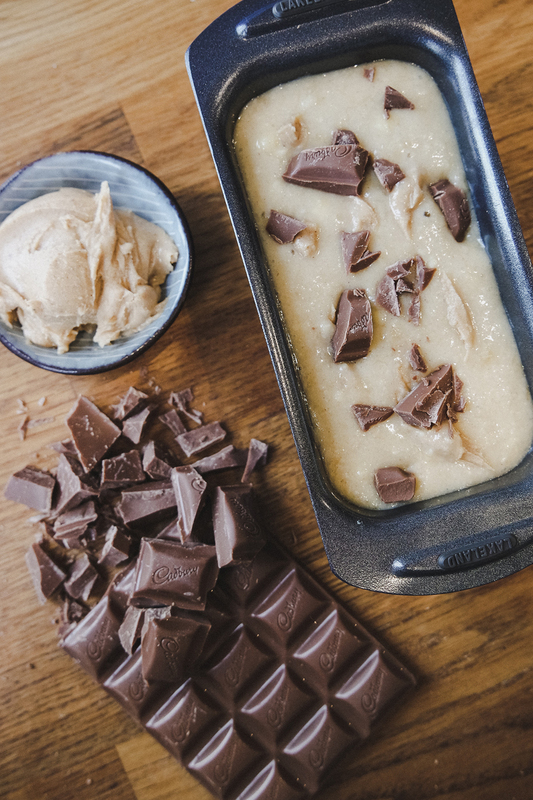 Chop the chocolate bar up into small rough pieces and then mix into the batter before spooning into the tin. Then take your spoonful of peanut butter and marble it into the mixture. This is easier if it's a little heated up in the microwave first. The blobs of peanut butter shouldn't be too big or they might interfere with the baking. Rhubarb! Is rhubarb given enough credit? I don't think so. 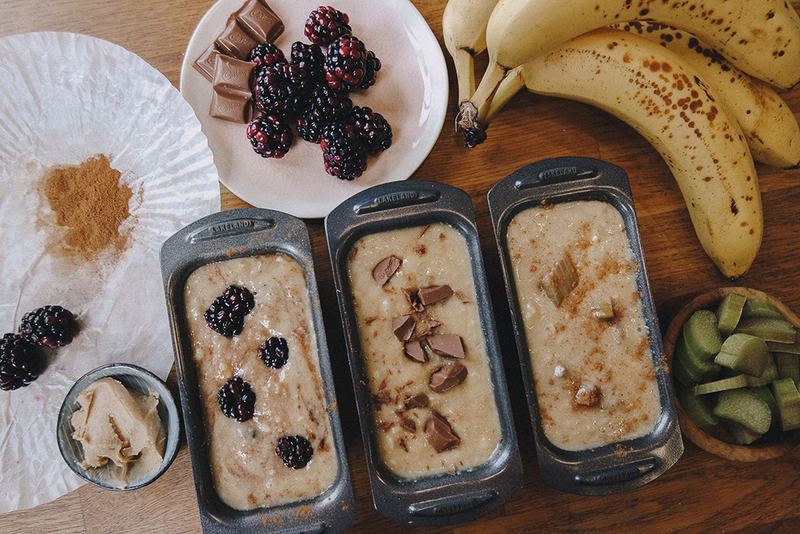 As well as making a banging crumble, it pairs so nicely with banana bread, adding a tartness to every other bite. 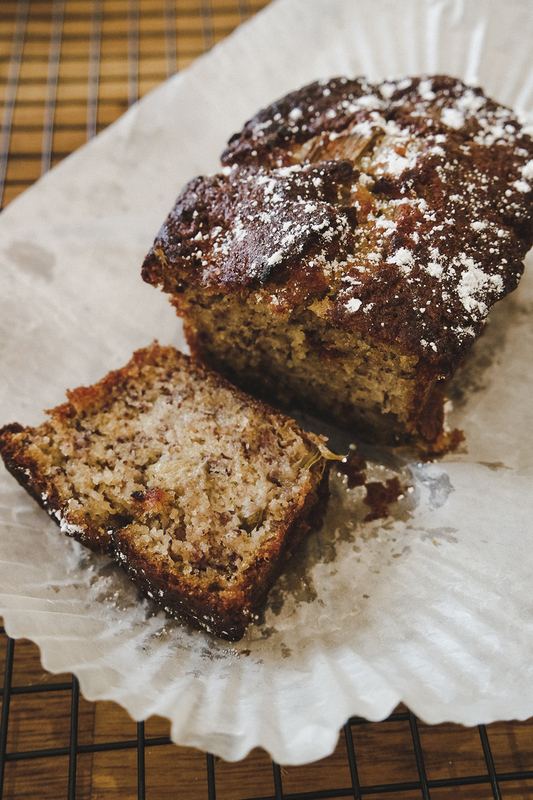 You probably don't NEED to, but I prepped the rhubarb before adding it to the banana bread. 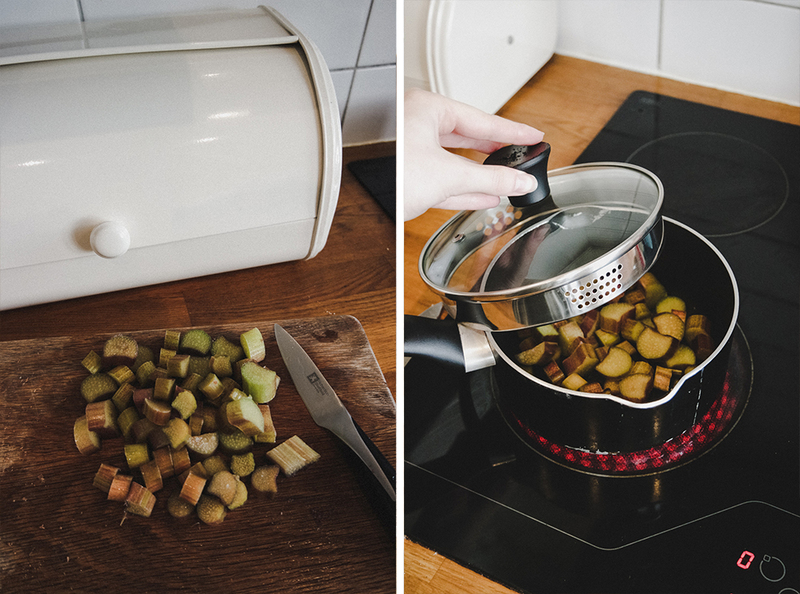 Chop up the sticks into small chunks, then fry in a saucepan with a little bit of water to prevent burning. Leave the lid on and shake/stir around while it cooks for about 5 minutes. 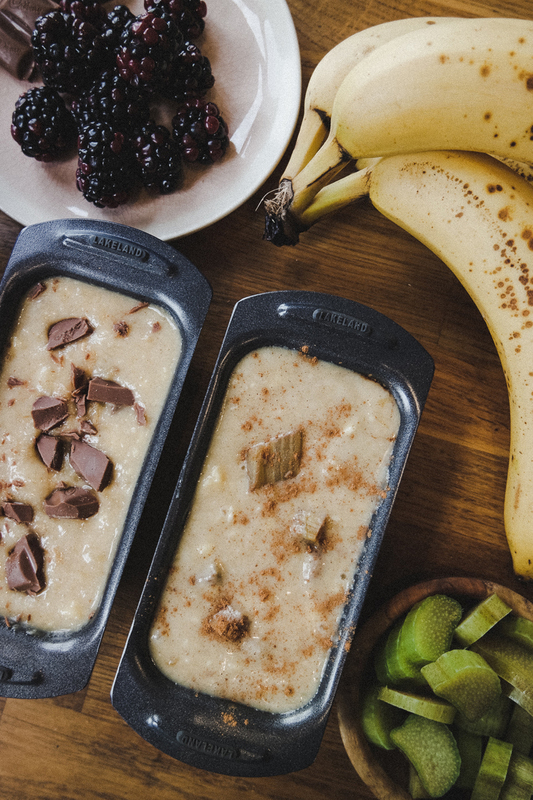 Stir the cooked chunks and cinnamon into the banana bread mixture, then spoon into the tin. 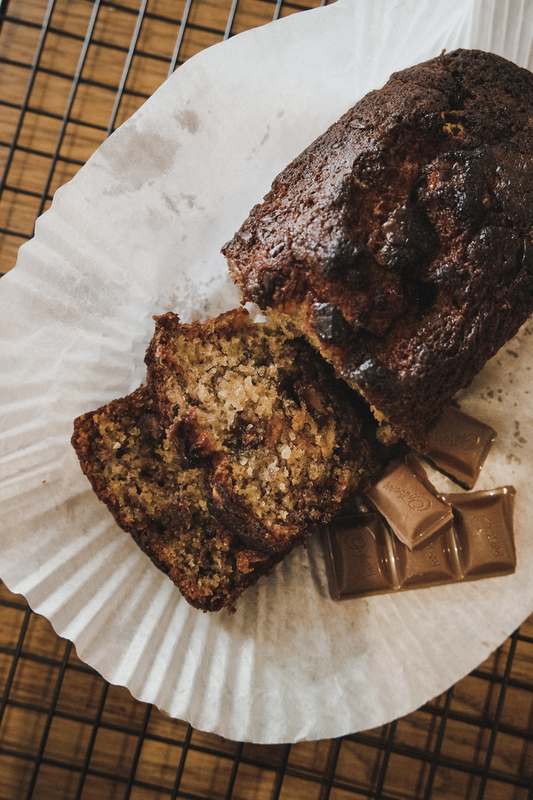 Banana bread is best eaten warm, so please don't torture yourself by waiting for it to cool fully before you dig in, and try microwaving subsequent slices for a few seconds because mmmmm. Illustrator type person, making the fun things. I also really like food. © Polly Vadasz. All rights reserved.